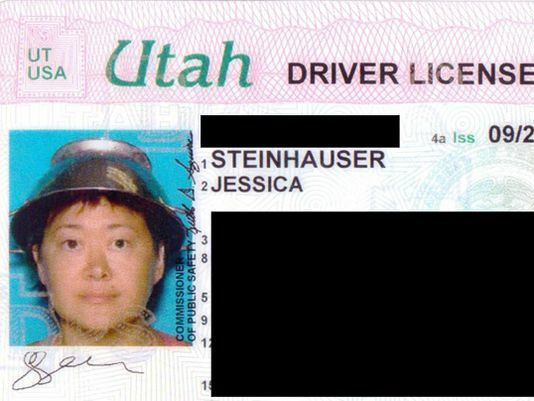 Who Recognizes this Utah Pastafarian? 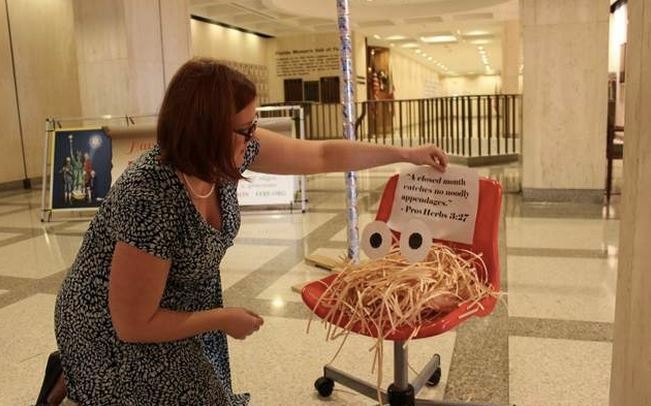 Asia Lemmon, also known as Jessica Steinhauser, an atheist and member of the Church of the Flying Spaghetti Monster, said she wanted to wear the colander, also known as a pasta strainer, on her head for the photo to make a statement. And years before this, she went by Asia Carrera, a well known adult film star. The Spectrum just put out an article about how all of this went down. Asia is a very smart lady and I respect her motives – and bravery – for doing this in the middle of Mormon country. Trivia: Asia also appeared in The Big Lebowski, in the Logjammin’ scene with Karl Hungus, one of the Nihilists ( /cable expert). 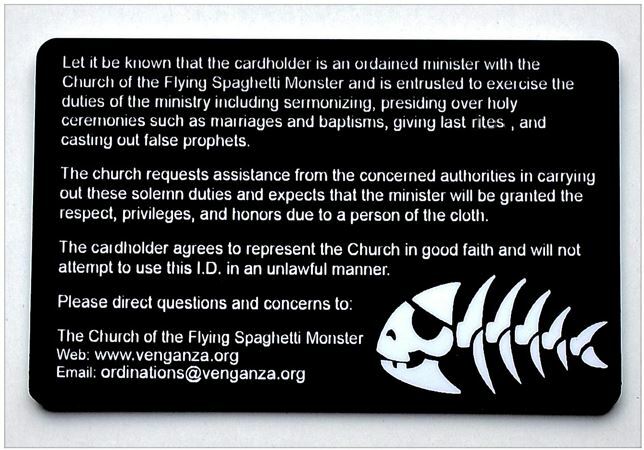 In FSM news — Nebraska prisoner Stephen Cavanaugh is suing over the right to pursue his faith in the Flying Spaghetti Monster. 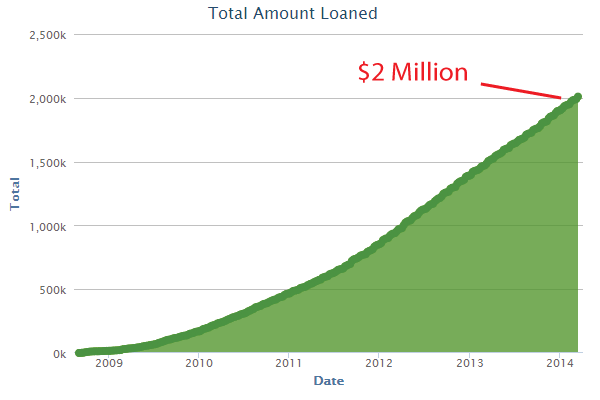 I’m skeptical of anyone asking for money, and my immediate thought was that this is a frivolous lawsuit. But after reading the court documents and talking with people in the know, I feel that here is a troubled guy who is legitimately trying to pursue his faith and, only after being stymied by the in-house prison channels, was forced to take the fight to the courts. Yes the dollar amount he’s asking for is exorbitant (and in my view, hurts his case), but the underlying complaint feels legitimate to me. One thing I found alarming: in the court docs there’s a claim by prison officials that, when looking into Cavanaugh’s religion, they found “the founder of Pastafarianism stated that it was a parody of religion”, and used this as a reason to deny Cavanaugh his requests for religious garments and group prayer. They may or may not be referring to me, I don’t know — but I don’t think I’ve ever spoken to any Nebraskan prison officials, and if I did I wouldn’t have used those words. 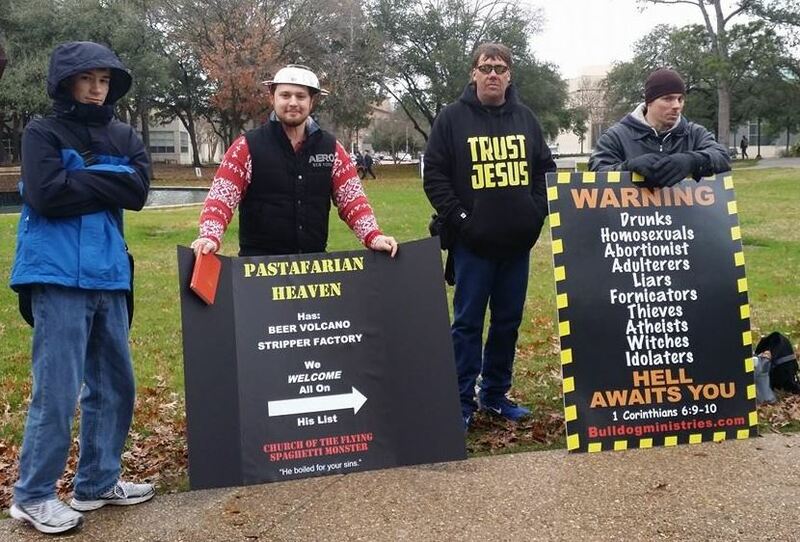 For the record, I don’t believe Pastafarianism is a parody. 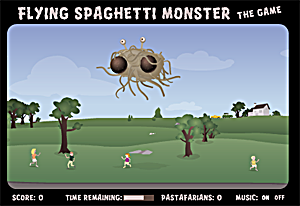 What I say, sometimes, is that some number of Pastafarians do not believe in a literal Flying Spaghetti Monster or our Creation story. And that is perfectly fine — it’s a common thing even in mainstream religion to be skeptical of scripture. 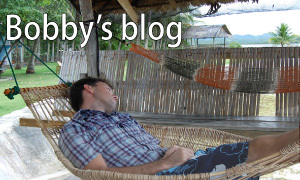 The distinction is that in FSM, the culture is more accepting of people who are skeptical-minded, while in many mainstream religions, doubt is seen as an affront to the Dogmatic Truth. My point is that there are doubters in religion in general, simply because religious scripture can be full of nonsense. You wouldn’t say Christianity is a parody just because some members don’t buy the part about the world being created in 7 days and the talking snake, etc. 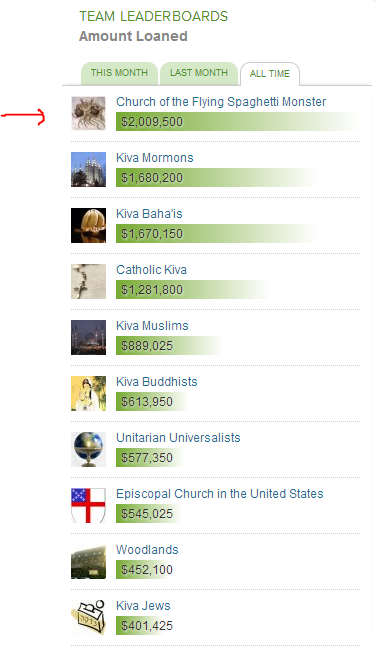 Religion is more than a collection of beliefs and rituals, it’s a way to form community and a framework to make sense of our place in the universe. And on this level, I think Prison officials did Cavanaugh a disservice in not allowing him to pursue his faith. I mean, he wasn’t asking for that much. 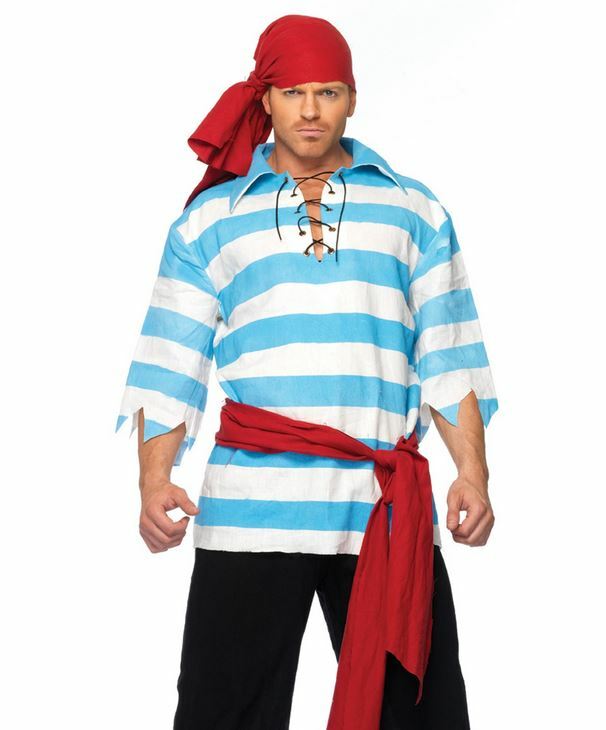 He wanted to buy a pirate costume with his own money and hang out with some other Pastafarians once a week. 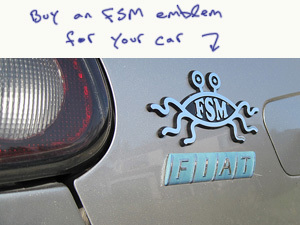 One last point I’d like to make: lets consider that maybe the prison officials are simply unenlightened about the FSM. 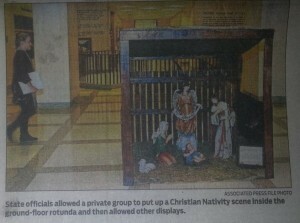 Maybe this is just a misunderstanding, rather than outright religious persecution. I suspect that Mr. Cavanaugh may be willing to call of the fight if the prison officials would relent and allow him to pursue his faith. 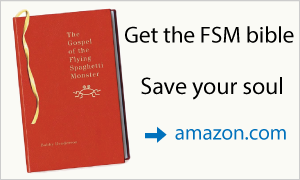 Here’s an article where some lawyers are discussing whether the Church of the Flying Spaghetti Monster may have some influence in rethinking the RLUIPA (religion in prison) laws — Can the Flying Spaghetti Monster Reshape RLUIPA? Stephan made this beautiful stained glass window. 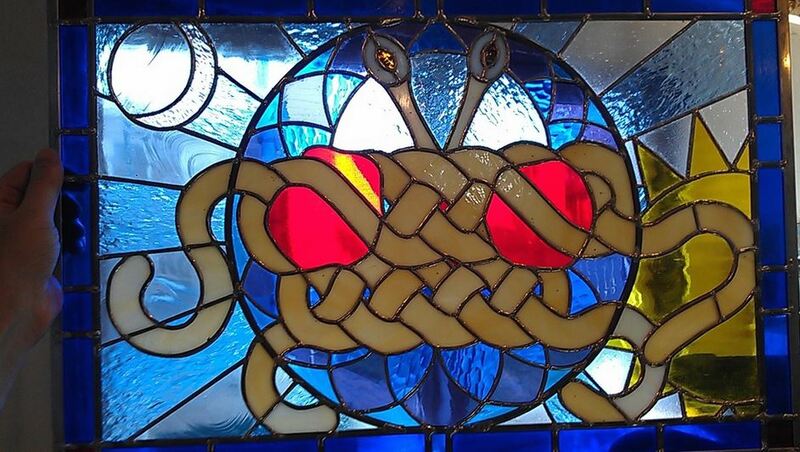 The design was influenced by a previous contributor who had done a computer mockup of what the FSM would look like on stained glass. I made a few modifications in order for it to be feasible, and for it to fit in an 24″x18′ frame. You can see more of Stephan’s work here. A unique style of headwear was present during newly-seated Pomfret Town Council member Christopher Schaeffer’s oath of office Thursday afternoon, but it wasn’t intended to keep his head warm. 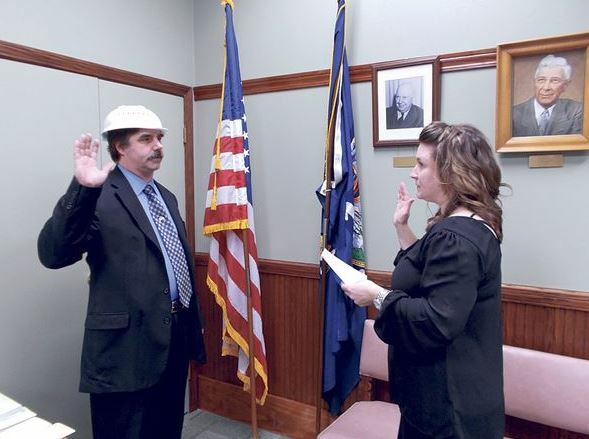 Schaeffer wore a colander (a strainer typically used to drain water from spaghetti) while Town Clerk Allison Dispense administered the oath of office to him before the board’s reorganizational meeting. 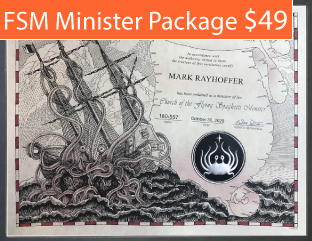 When the OBSERVER asked afterward why he wore a colander on his head, Schaeffer said he was a minister with an even more unique organization – the Church of the Flying Spaghetti Monster. 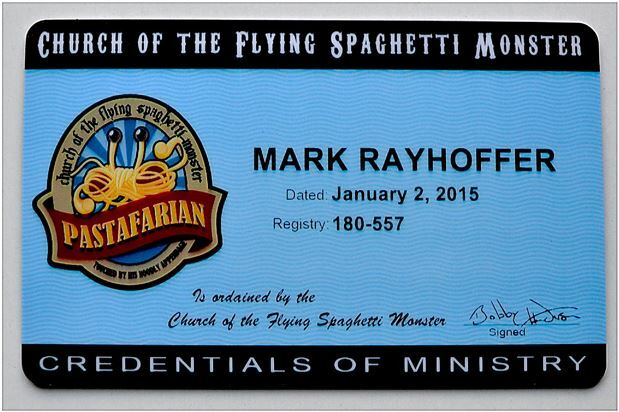 This may be the first openly Pastafarian sworn into office. For sure, the first to be sworn in wearing a colander. 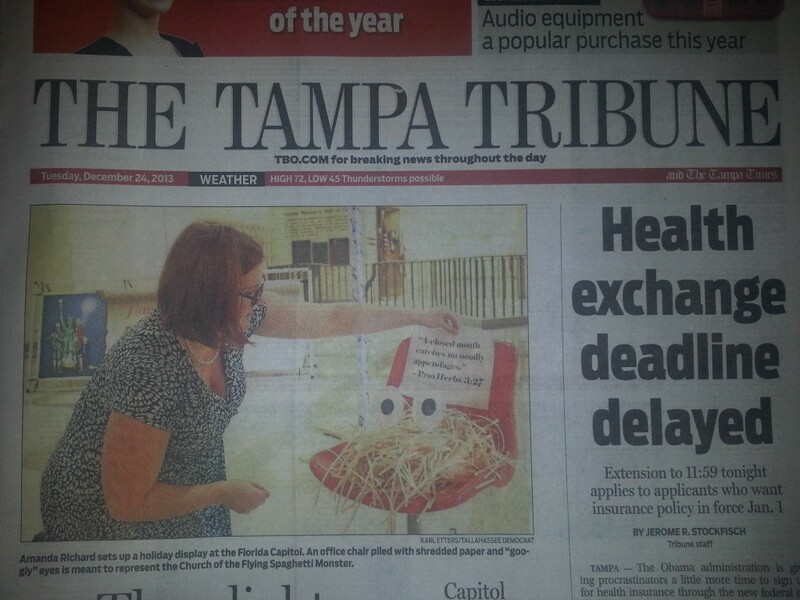 I imagine Council member Schaeffer is getting a lot of heat because of the news coverage. Some people will see it as obnoxious or a sign that he’s not taking the oath of office seriously. But I am completely confident that Schaeffer will distinguish himself as a Council member of the highest caliber. You can read the article here at the Observer.